Happy weekend, sweet friends! Apologies for checking out at the end of the week. It truly could not be crazier at work right now! If you work in a school, you can certainly relate to the end-of-year chaos. Regardless, I'm excited about a few things that are lined up for the blog soon - a great giveaway and a couple of fun partnerships. I spent today getting organized, taking photos, and doing some simple updates to the blog (new photo at the top!). Basically, I just wanted to pop in today with a few pretty things to brighten your weekend. The forecast has changed drastically and the spring temperatures are nowhere to be found. I'll spend my time getting lost in pinterest as an alternative! Enjoy the rest of your weekend, everyone! 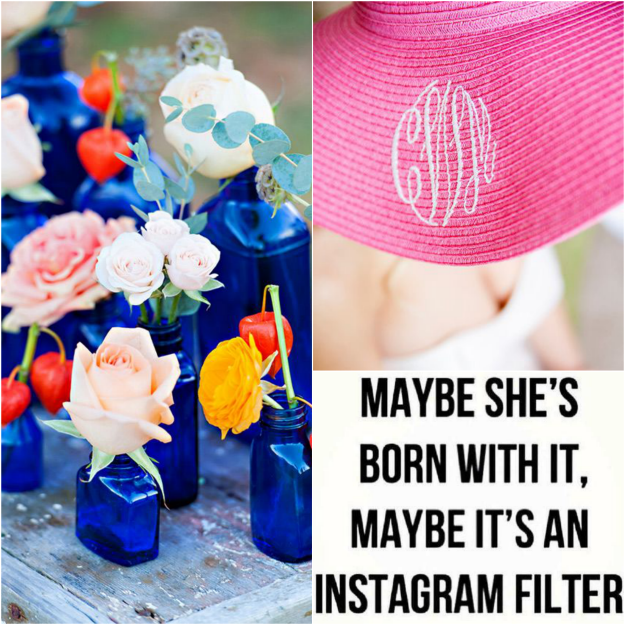 Oh my gosh, the 'maybe it's an Instagrm filter' is too funny!